Hi, I’m Martin Taylor and I lead HMRC Digital’s Fusion Team. We’re a small team, set up to organise and facilitate events to help teams brainstorm and collaborate to find solutions to their most challenging problems. This blog is about a recent event, an accessibility hackathon. Accessibility and inclusion is high on our agenda in HMRC. Not only do we need to produce services for our millions of customers that can be accessed by all, but we also have to consider the accessibility of our IT and technology systems for our 60,000 HMRC colleagues. Our Chief Digital and Information Officer, Jacky Wright, is also the HMRC Disability Champion. She challenged us to explore accessibility options, frustrations and good practice in more detail - to be pioneers in the accessibility world. So we designed and planned the first in a series of accessibility events at our digital collaboration zone in Shipley. 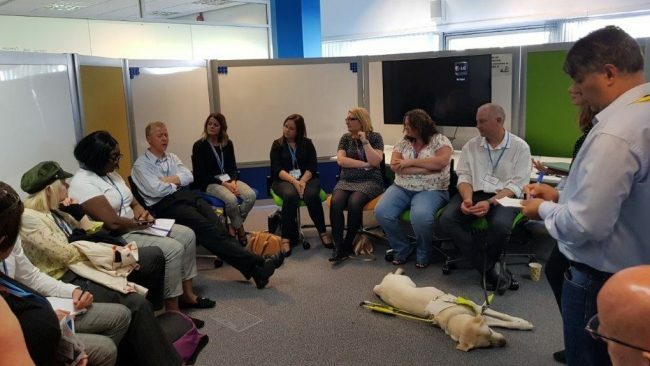 We invited leading suppliers in the Sight and Sound space and over 50 HMRC colleagues to join us, including those with accessibility needs and people working in our IT and estates teams. As you will appreciate accessibility is a broad subject and covers many areas, far too many for us to sensibly do justice to in one day. 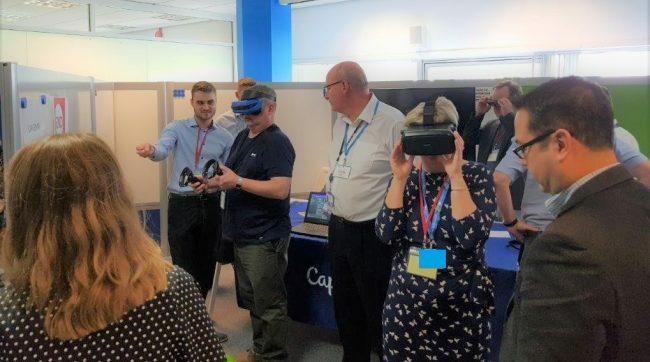 So for the first event, we took the decision to understand how technology could help improve experience in meeting rooms for colleagues with accessibility needs. 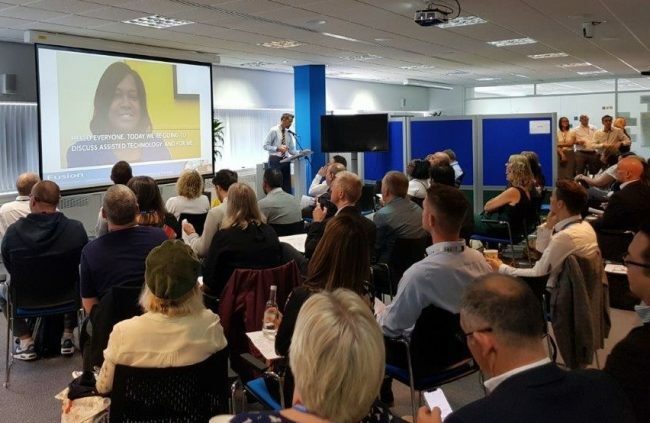 demonstrate that HMRC is committed to providing a better, more inclusive, working environment for all our staff, and that IT and estates are fully joined up in this commitment. We asked colleagues to share their experiences to bring real user stories to life through the words of our people who are either visually or hearing impaired, or both. It was not only insightful but inspiring to find out how they are able to continuously deliver services for our customers despite the challenges they face. We split up into smaller groups to explore the different supplier offerings. It was clear to see there are opportunities to be exploited with some of our existing or soon to be deployed technologies. These will no doubt make things easier for others, but it was seeing the new and emerging technology that really brought to life the art of the possible. 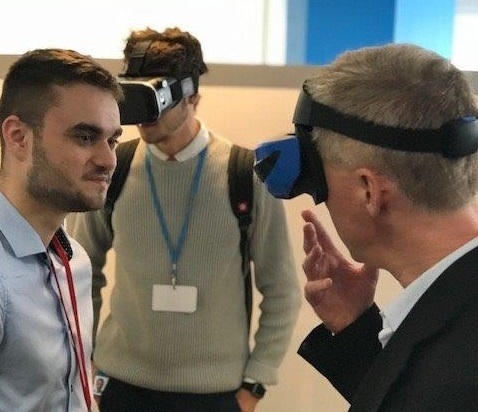 use of virtual and augmented reality technology to help individuals overcome barriers in the workplace. There was a real sense of excitement and a palpable buzz throughout the day. It was fast-paced and energetic and the ideas, thoughts and opinions came thick and fast. This was just what we wanted, so that we could tap into this knowledge to understand our next steps. In our final session of the day smaller groups explored what other frustrations exist across HMRC that we should unpack and focus our attentions on. Once again attendees inundated us with ideas and suggestions that they feel will make HMRC a more inclusive working environment for all. The day was a huge success and we’re now exploring some of the ideas that came out and already planning the next event for later this year, including. working with estates to look at some of the noise level capabilities we saw. For me personally, accessibility is important because I am one of 3 million individuals in the UK diagnosed as colour blind. I learned many useful things on the day and I thought I would share three really simple ones that anyone can do straight away. if you use Twitter for work purposes make your content accessible to all by selecting ‘Settings and Privacy’, then under general select ‘Accessibility’ then under vision turn on ‘Compose image descriptions’. I’ll let you know how we get on with the ideas we got from this session and report back on our next event. Well done Martin and team! It's great to see us being as inclusive as possible. I really liked your handy tips to consider. I use a noise cancelling headset myself and it's been a bit of a game changer. I don't need to take up a meeting room for calls as the technology means even in a noisy office, everyone is able to hear me clearly and I can hear them.